↑ McIlroy, M. D. (1987). 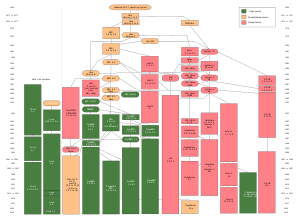 A Research Unix reader: annotated excerpts from the Programmer's Manual, 1971–1986 (Technical report). CSTR. Bell Labs. 139. ↑ "The UNIX Time-Sharing System" (1974). CACM 17 (7): 365–375.